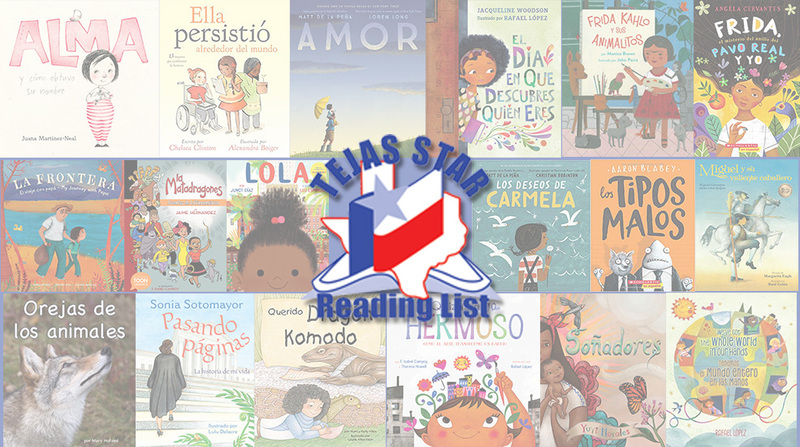 The Texas Library Association is pleased to announce the 2019-20 Tejas Star Reading List. This carefully curated list of Spanish and bilingual titles is designed to encourage children ages 5 to 12 to explore multicultural books, and to discover the cognitive and economic benefits of bilingualism and multilingualism. The Tejas Star Reading List is intended for recreational reading, not to support a specific curriculum. The 2019 list includes fiction and non-fiction picture books, chapter books, and graphic novels with themes of immigration, identity, poetry, as well as stories of famous and important historical figures.